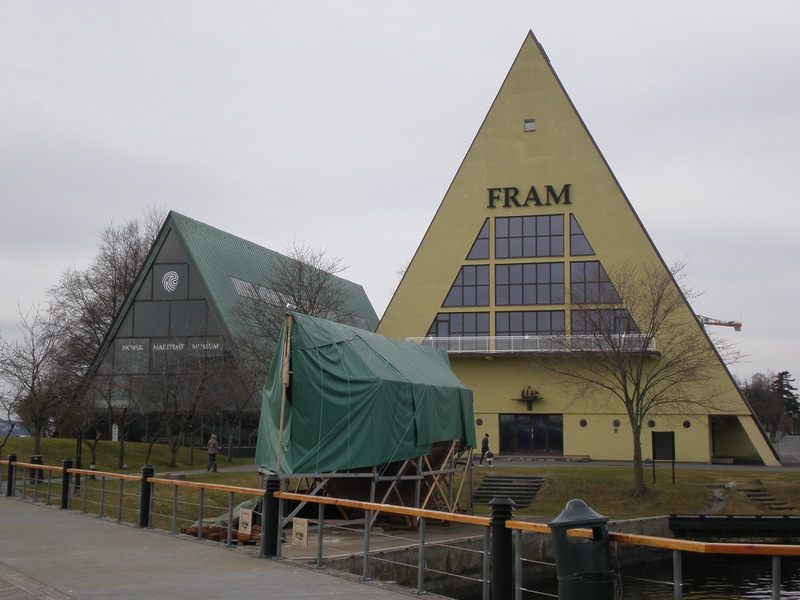 Anyway, right next to the Fram museum you have the Kon-Tiki Museum and the Norwegian Maritime Museum but we didn’t visit them. 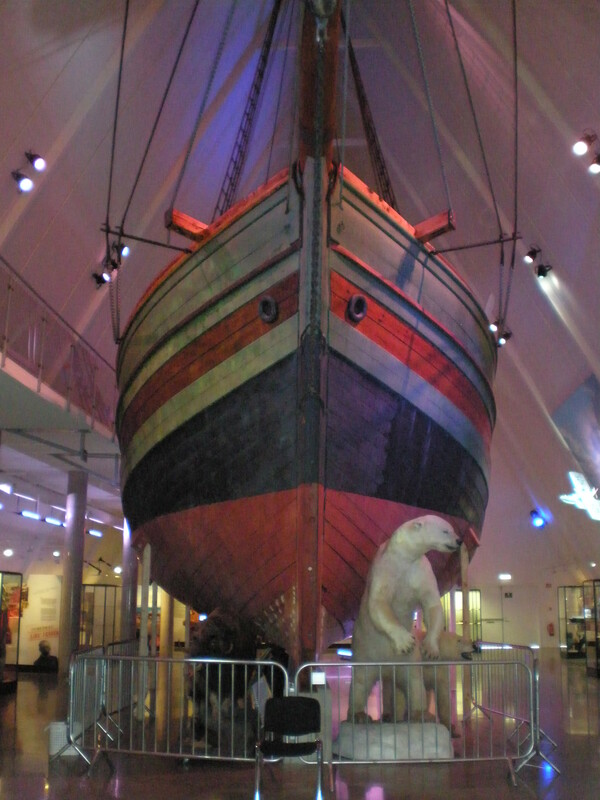 Instead we went to the Viking ship museum and the Norwegian Folk Museum. 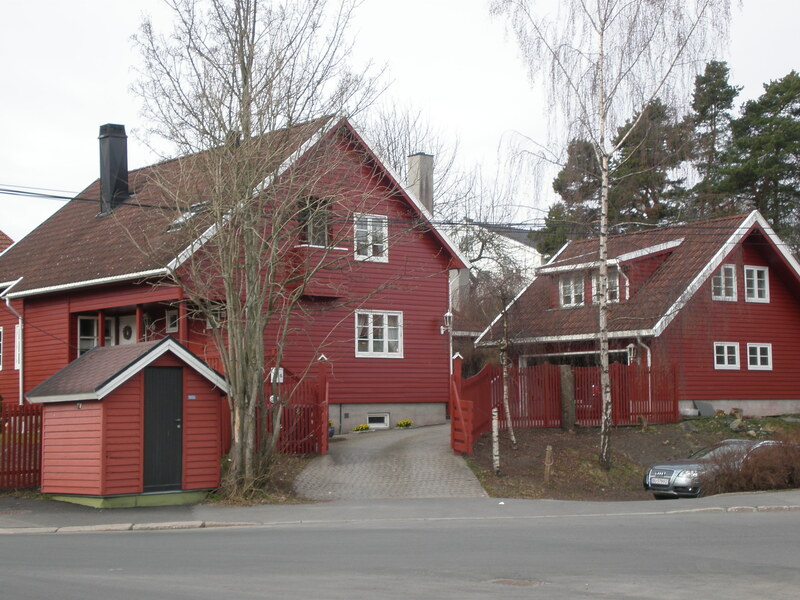 It was a short walk from the Fram museum. 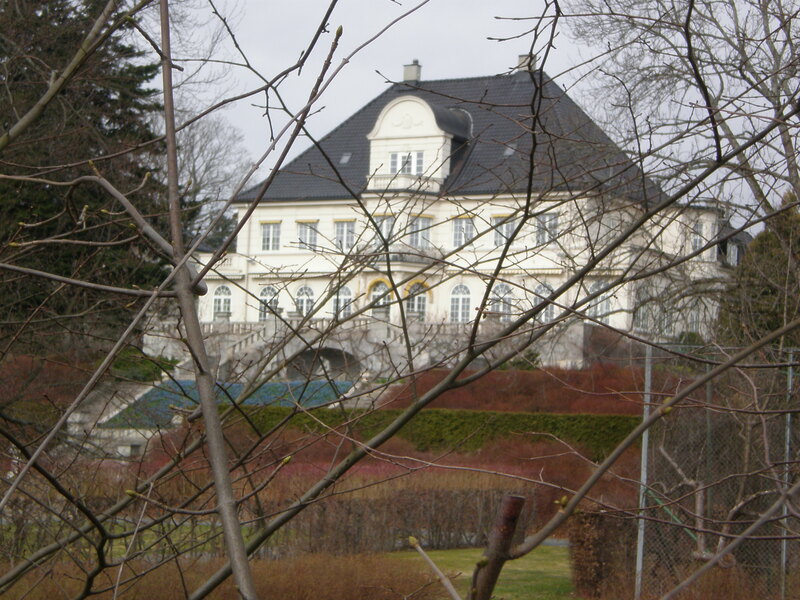 We saw a lot of beautiful colourful wooden houses and a big Norwegian cat 🙂 There was also a big house like a manor house hidden away in the forest; we only had a peek at it through the bushes. So, we arrived at the Viking museum and oops there was a queue actually to get in. Do you watch the Vikings series? It’s great. I’m sure that you’ve heard something of the brave Vikings who lived in Scandinavia and raided around Europe and further in the period of the late 8th to the late 11th centuries. They even reached the North America under the rule of Erik the Red. So,what can you see in this museum? 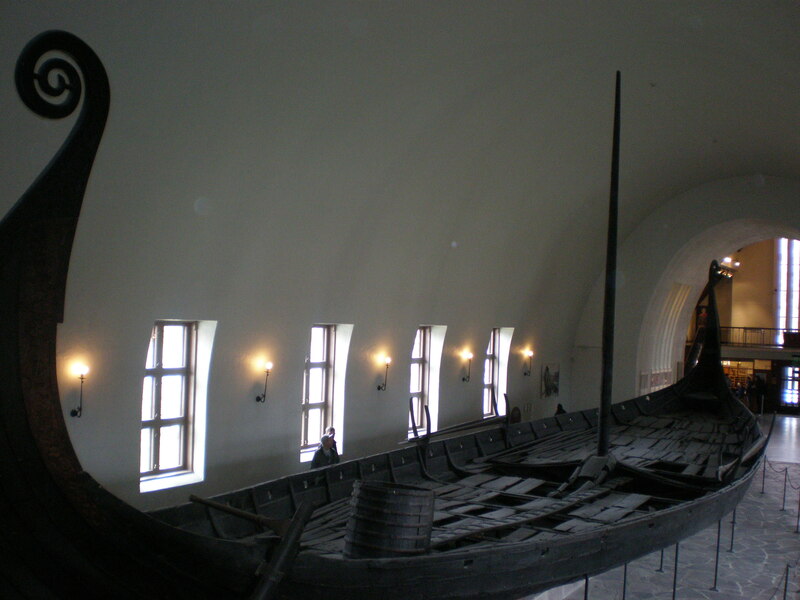 You can see real Viking’s ships from several archaeological sites: Gokstad, Oseberg and Tune. 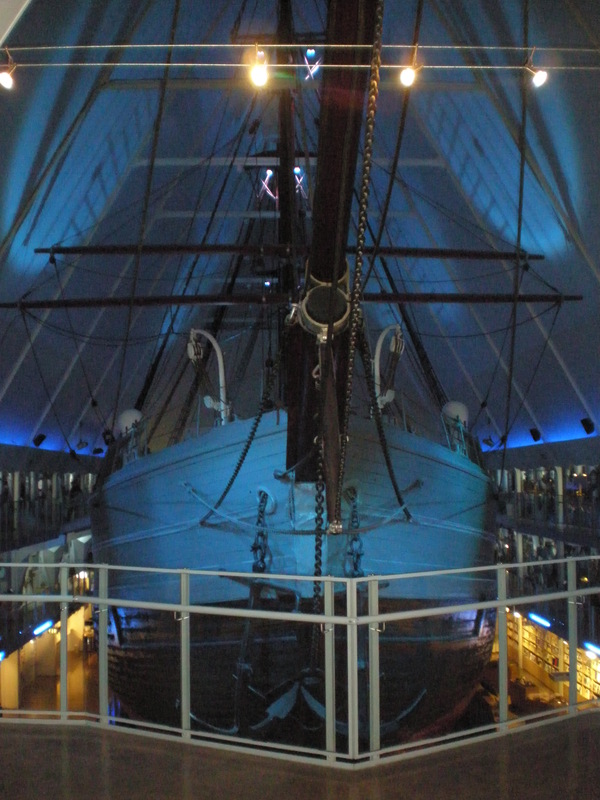 The two wooden ships from the 9th century look amazing but the third one is in a bad shape. There are also a lot of other objects from the tombs such as sledges, tools, jewellery etc. 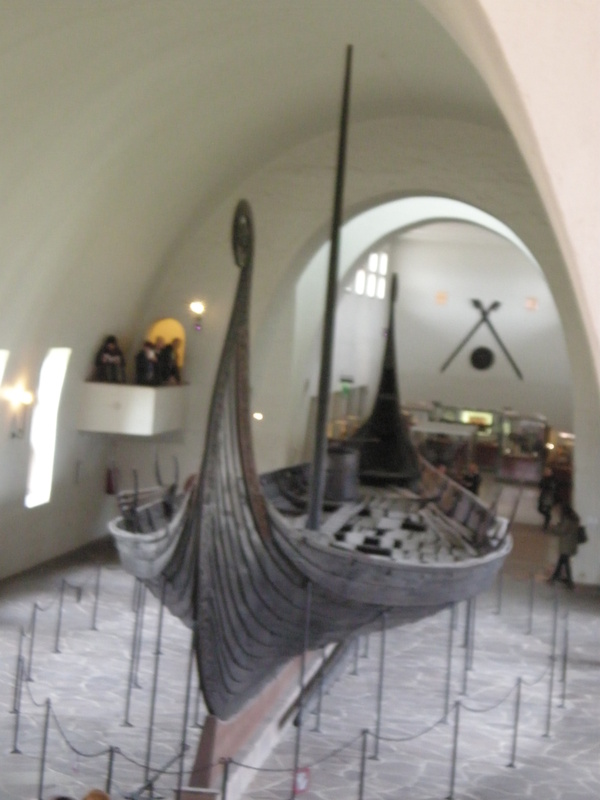 I was gobsmacked when I saw the Viking’s ships. 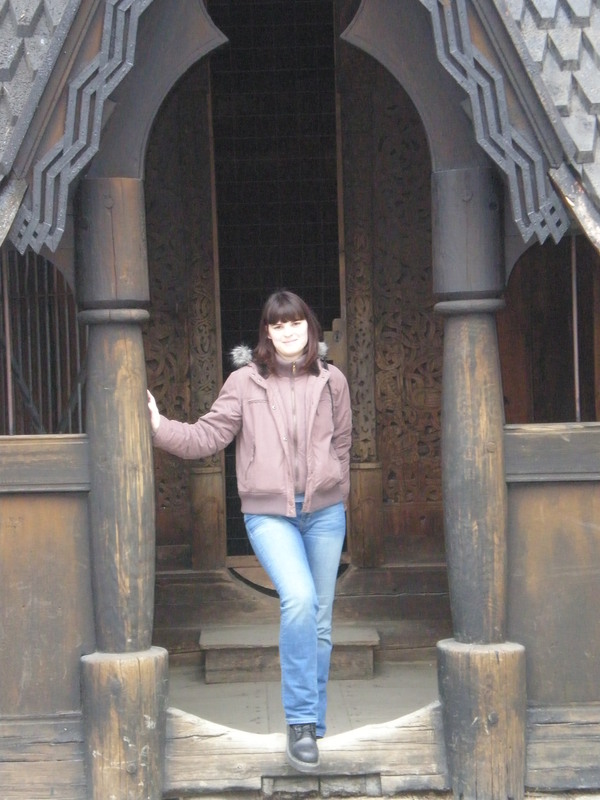 It’s unbelievable how ornate and decorative they look and how well they were build to withstand the fury of the ocean. After our quick sandwich break we headed to the last museum the Norwegian Folk Museum. Now, that’s unlike any other museum that I’ve ever visited. 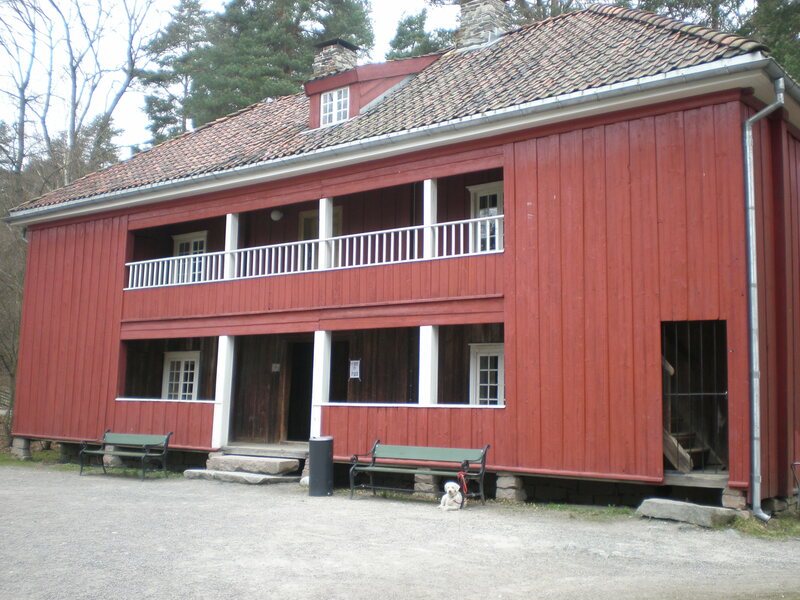 It’s an open-air museum which showcases 160 traditional houses from all around Norway and from different time periods.You can enter some of the houses and see how people lived. 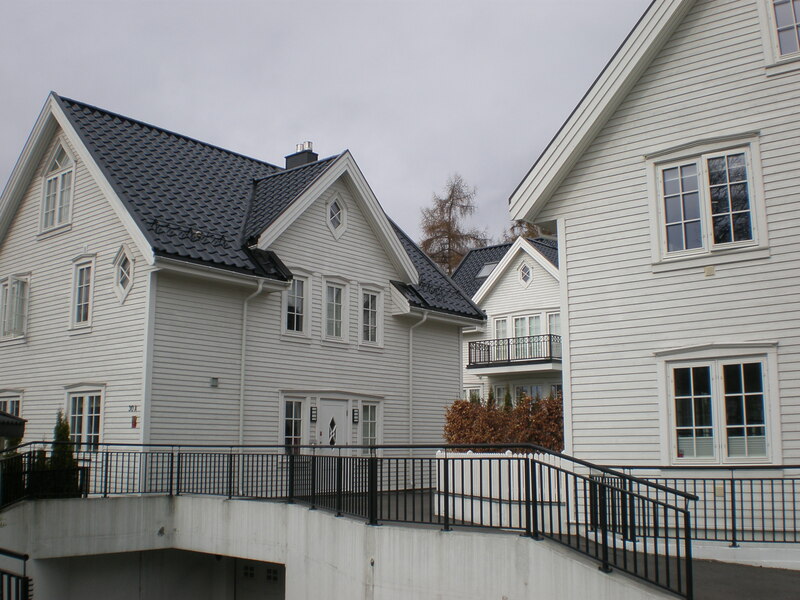 The museum is set in a big park/forest and you walk around it and look at all the interesting houses. There’s even a school building, a petrol station and a whole street from a town. There’s also an apartment building where you can see how apartments looked like in different periods of the 20th century. 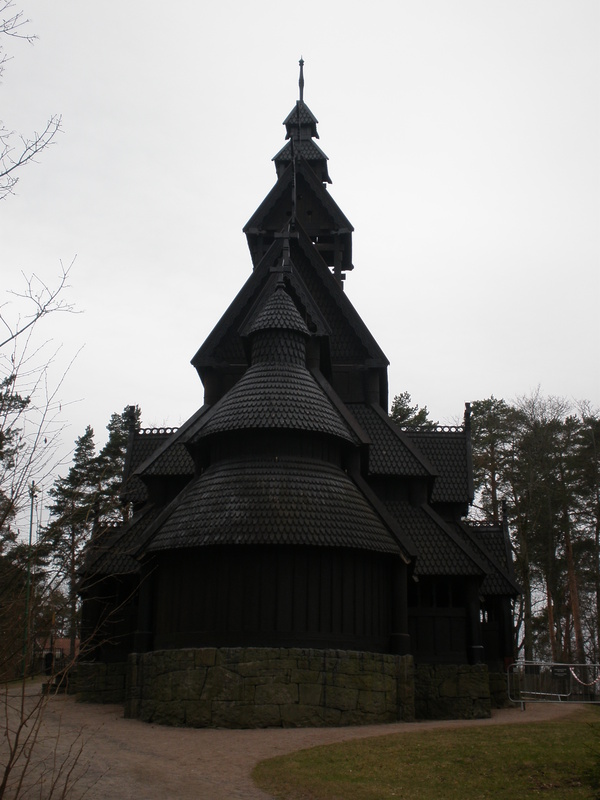 The most striking building is the Stave church dating from 1200. I think that this is a great museum for children too especially since there’s also a farm with farm animals. 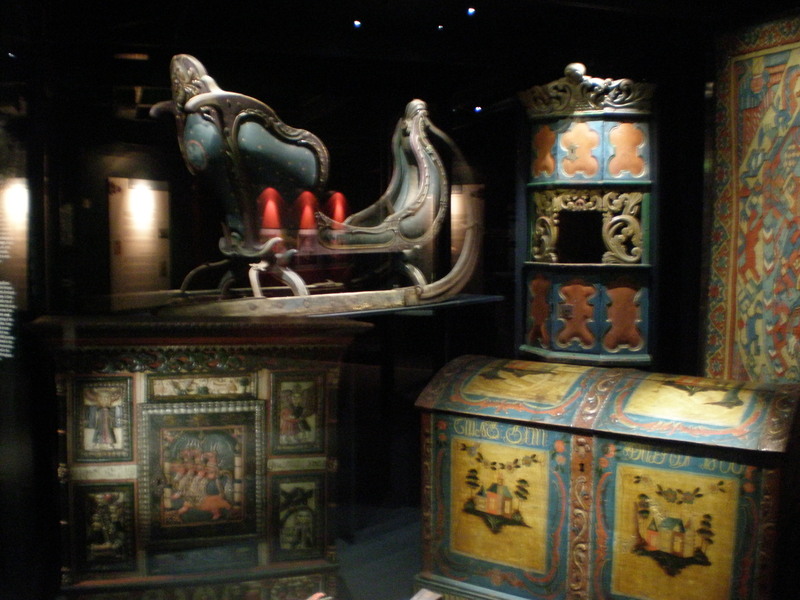 Of course there are permanent indoor exhibits too which include folk costumes, toys, furniture , Sami culture and more. It’s a pity that it was raining and that we didn’t visit in another season since beginning of April is still long way from Spring for Norway and everything looked a bit bleak. 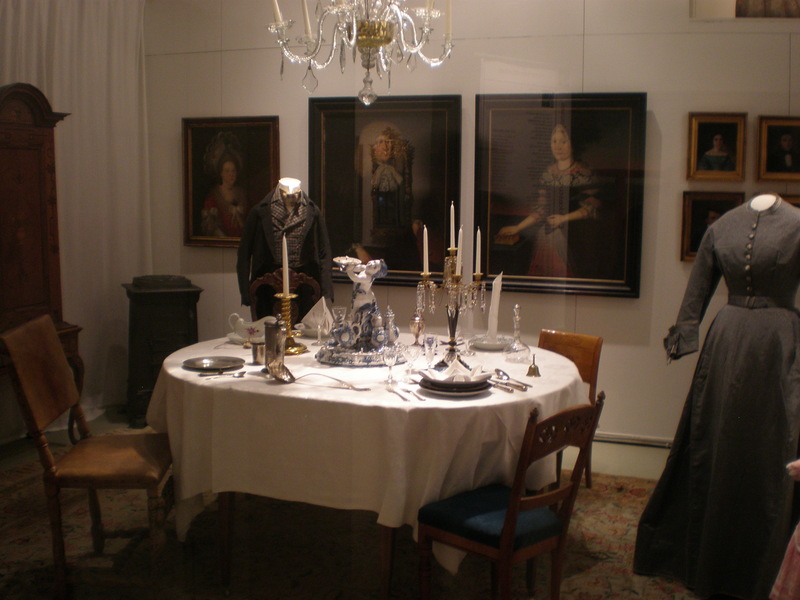 We had great time visiting these museums and we got back to Oslo in the late afternoon. Then, we did some souvenir shopping (warm thick socks with Norwegian motifs, a Viking ship model, magnets etc.) and ate and walked some more around Oslo center. I love Your ship photos – very nice. Thanks! I just checked your blog. do you write all posts in 4 languages? Wow!Congrats! Yes, I do since two years; in three since the beginning. I have not been to Oslo but it looks fun! Yes, we had great time visiting the museums! I’m planning to visit Norway next summer and I’m glad I’ve read your post. It game me some idea about Oslo. Thank you for joining us for #TheWeeklyPostcard. Such interesting museums you visited here. I’ve forgotten so much of the Viking history I learned back in my school days so I know I’d find that Viking museum fascinating and a good way to refresh my knowledge! I can’t imagine going any long distances in those ships! Those Vikings must have been really tough folk to do that. 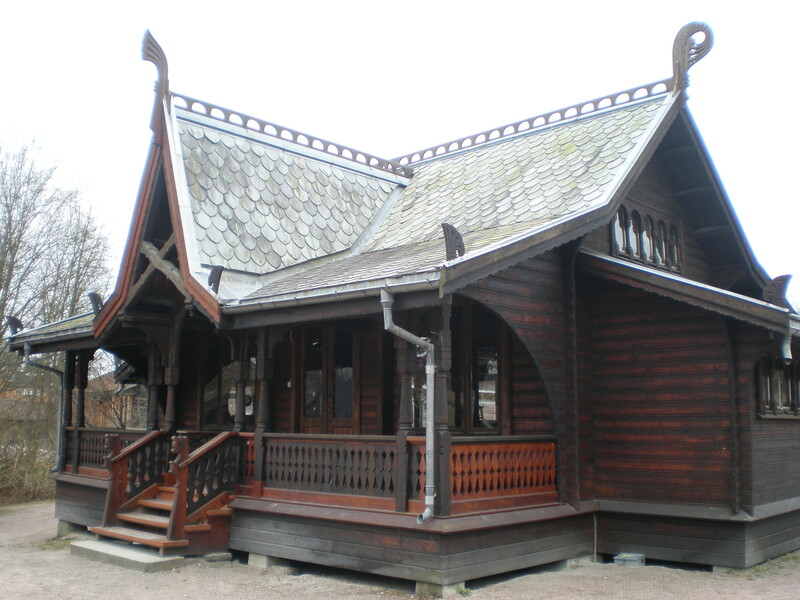 I really like the Viking houses too, so elaborate! 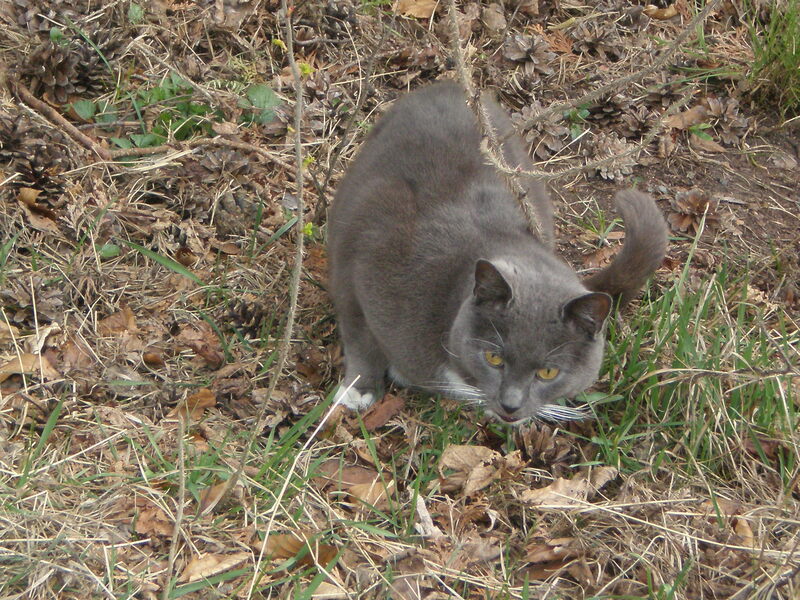 Thanks for posting all those great photos! Yes, we did. Well,it’s always like that with your own hometown, I too have probably done more in some other cities than in my own! The closest I’ve been to Oslo is the Norway section of Walt Disney World’s EPCOT Center. 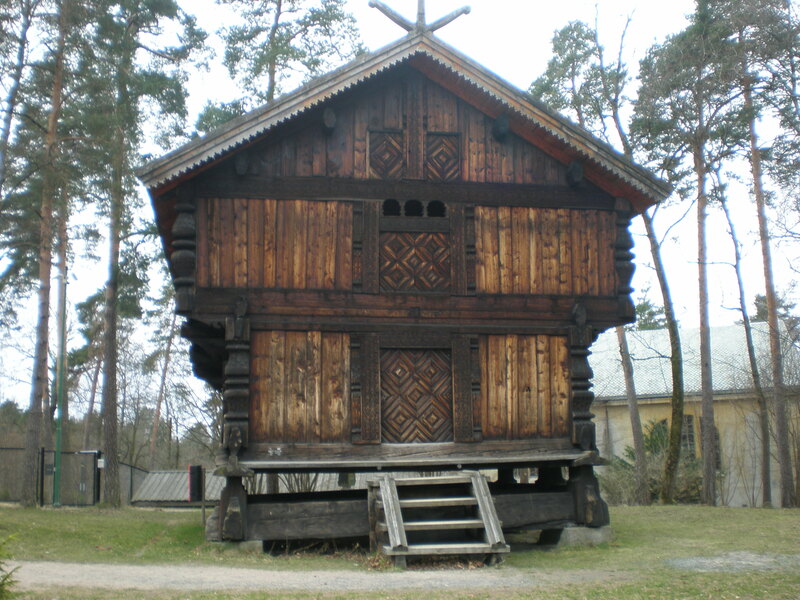 I’d love to see the real Stave church and authentic Viking ships some day. With my kids along, I no longer have the luxury of reading every single placard, so I envy your now-husband for getting to do it on the Fram. Thanks for linking up with #WkendTravelInspiration. These museums look amazing! 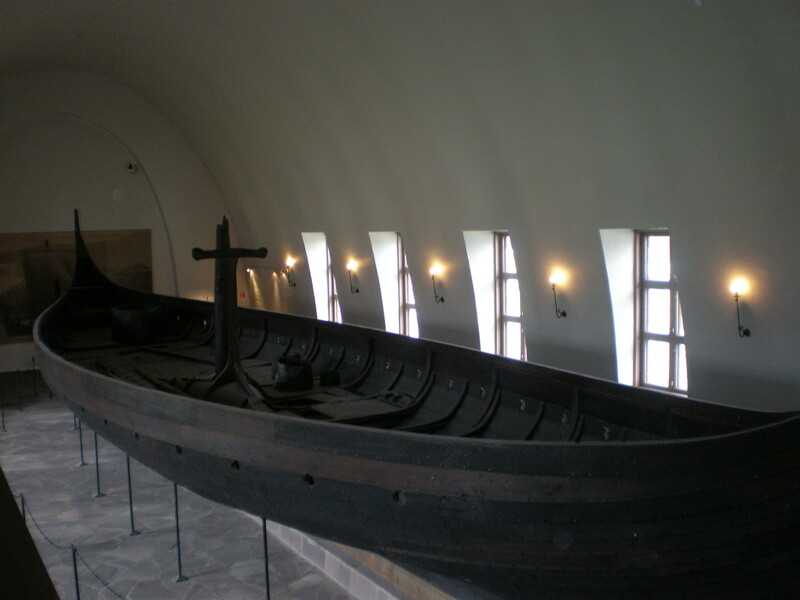 I study medieval history so I’d especially love to visit the Vikings ships. Hopefully one day! 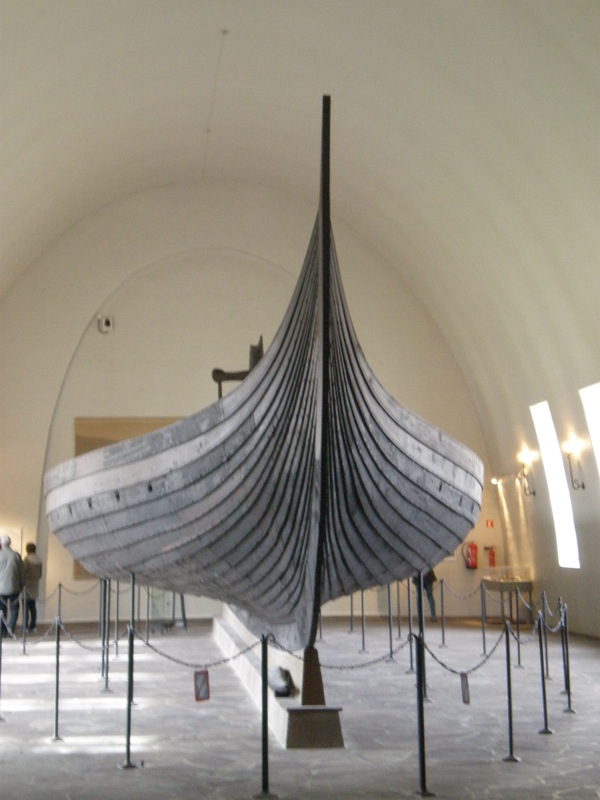 I’ve always been amazed about the ingenuity of the Vikings in building those ships. How they were able to achieve that is a wonder. Would love to see them someday. It really was a great museum experience! I loved museum island in Oslo. It was fun taking the ferry, walking around the island and see cool stuff! 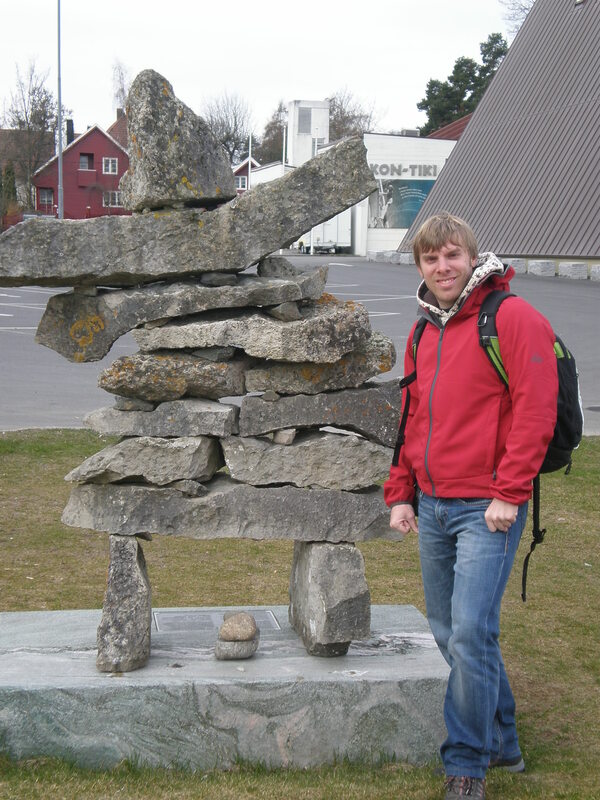 This trip looks really fun… I’ve never been to Oslo, but people keep telling me to make the journey! Excited to read part III soon!